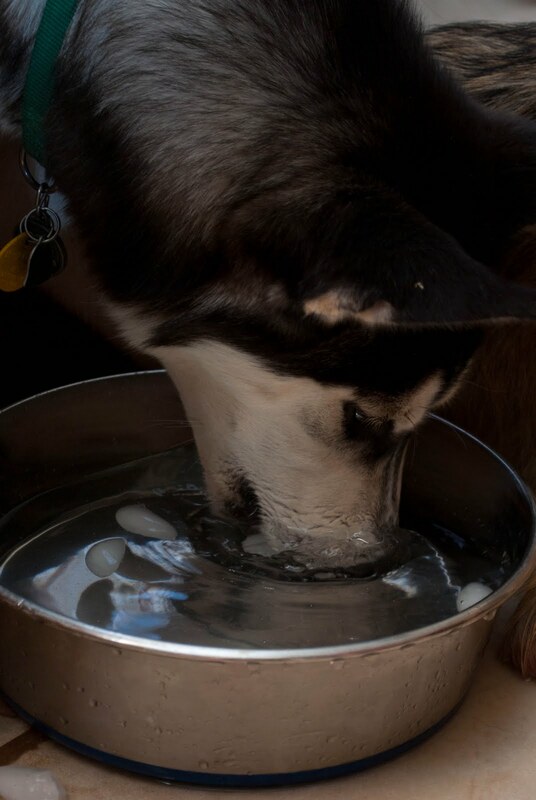 Oh my goodness, my dog loves ice. He sits beside me whenever I get some and picks up whatever falls on the ground. Hope he was good at holding his breath! Too cute. How cute! I had a cat that did that one time. I could never leave a glass of ice water unattended!